Sometimes it's best to call a professional repair service when appliances break around the house. And one man in Fuquing, China recently learned this the hard way. 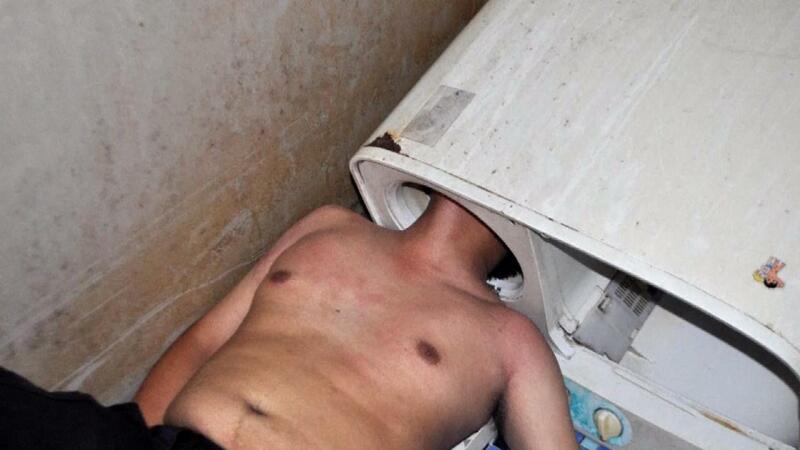 Firemen were called to an apartment Sunday afternoon after the man got his head stuck inside a washing machine, according to the Huffington Post. The man reportedly was trying to fix his machine's drum, but had a hard time seeing it. Apparently, he thought it was a good idea to stick his head inside for a better view. He couldn't have been more wrong! His friends tried to free him by putting liquid soap around his head, according to Mirror. When that turned out to be a bust, they called in a rescue crew. It took 40 minutes of sawing to free the victim and luckily he only suffered minor cuts to his head. Perhaps he'll think twice before playing handyman again.